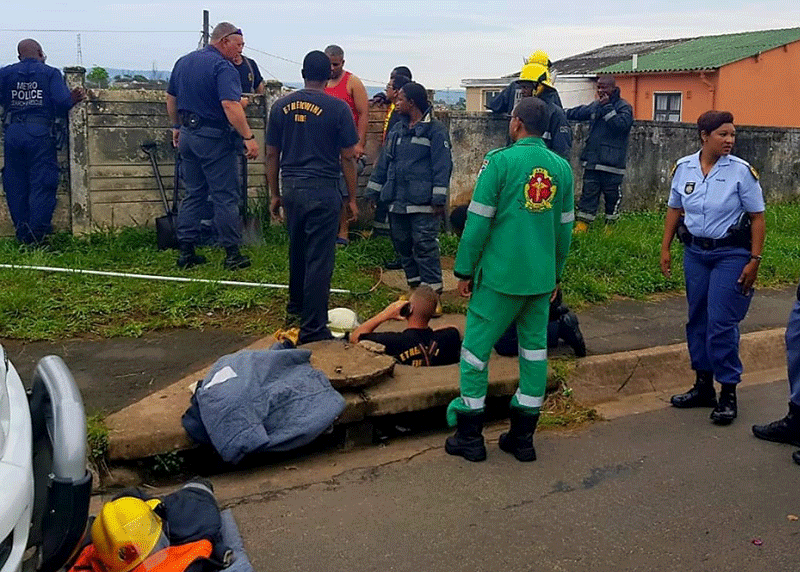 Following a nail-biting three-hour rescue mission, Garreth Jamieson of Rescue care confirmed that the little girl was alive and stable. Jamieson said the baby was only a few hours old, as her umbilical cord had still been attached when she was pulled from the drain pipe. KZN health MEC Dr Sibongiseni Dhlomo, who went to the hospital to see the newborn, said the baby would be moved to a smaller hospital, then discharged to a place of safety. "The community was very helpful and supportive which we are also grateful for".